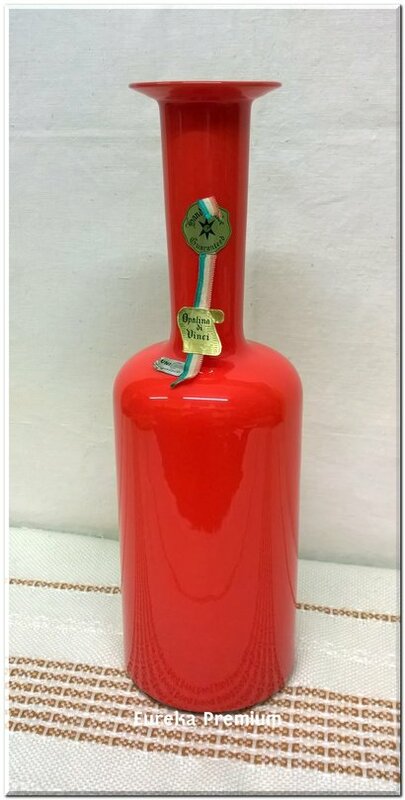 Stunning red-ish Italian hand made vase with original label. 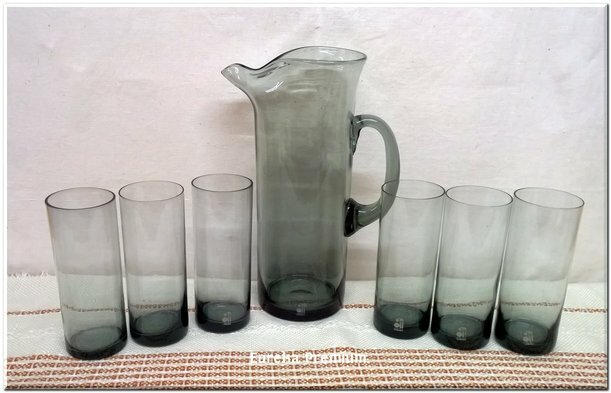 In excellent vintage condition with normal age wear. See the pictures for more details. The vase is 36cm high. 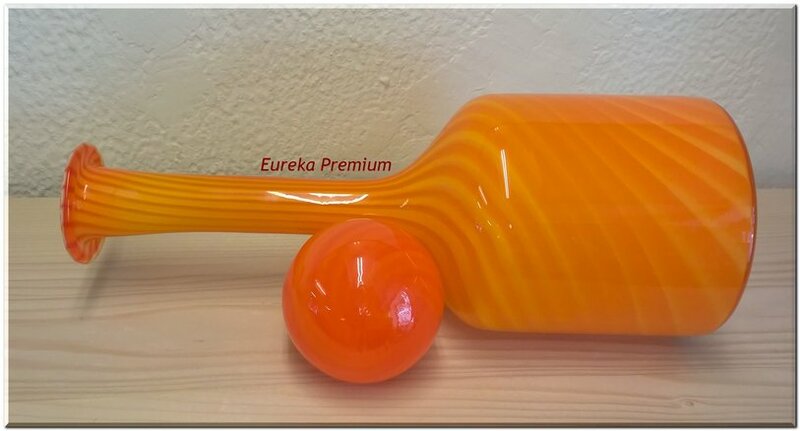 Very nice bottle, very simple form, and very modern and unusual. In excellent vintage condition with no chips, cracks or restoration. Normal age wear. 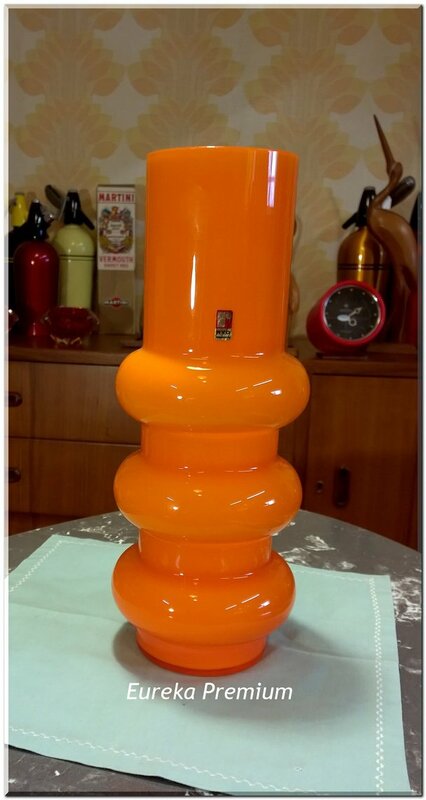 This vase is 28 cm tall (11"). 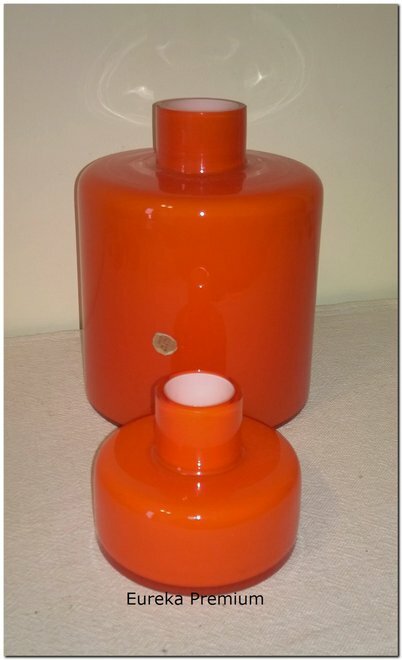 1970’s modern Scandinavian orange opaline glass table lamp. The color is orange. 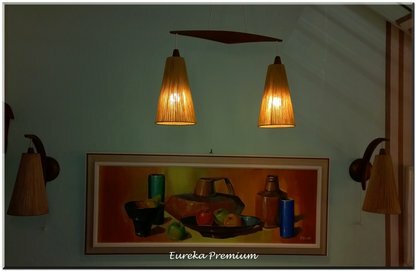 The lamp shade is from fabric. Both pieces it is in very good vintage condition with no chips or cracks or tears, just normal age wear. The cord and switch both work correctly (European plug). 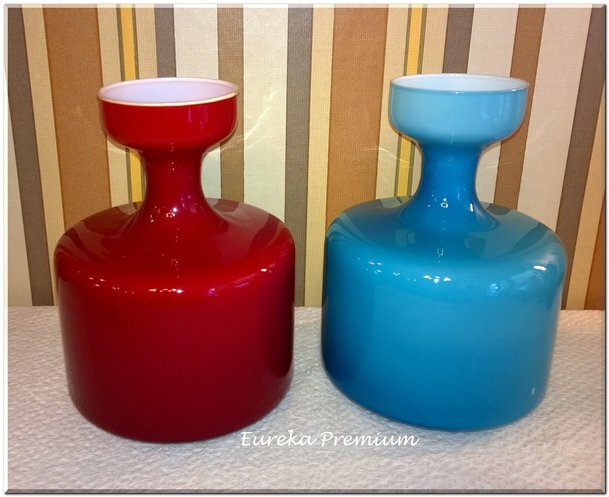 A great addition to any collection or decoration. 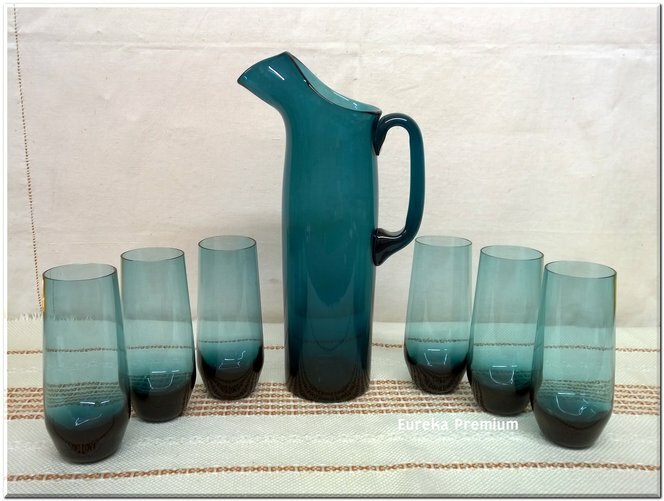 Very very rare piece!! 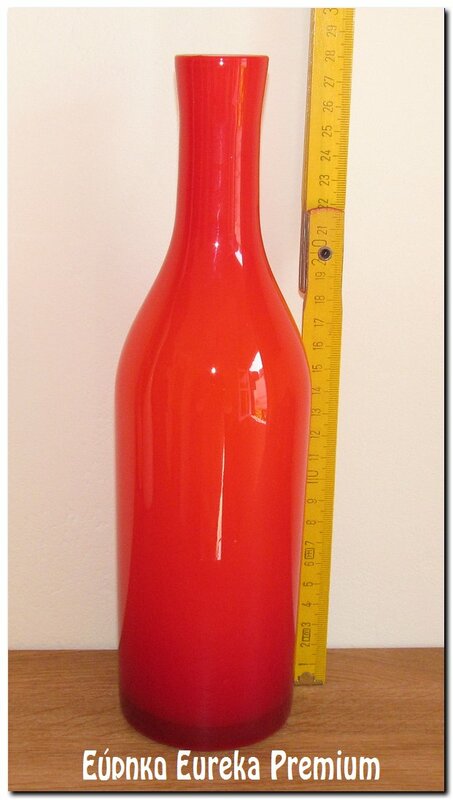 Measures 57,5 cm (22,64 inches) tall the glass part without the lamp socket. 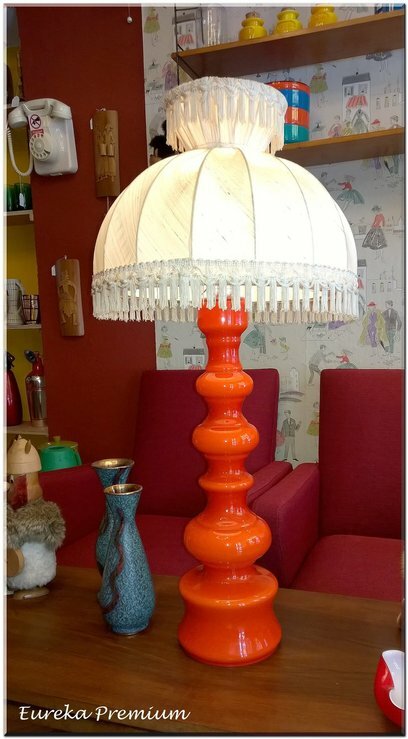 Lamp shade is 28cm (11 inches) tall by 42cm (16,5 inches). wide. The total high of the lamp is 84cm!!! (33 inches)! For sale a vintage 1960’s modern Murano Italian art glass 4 pieces bowl by Vistosi. 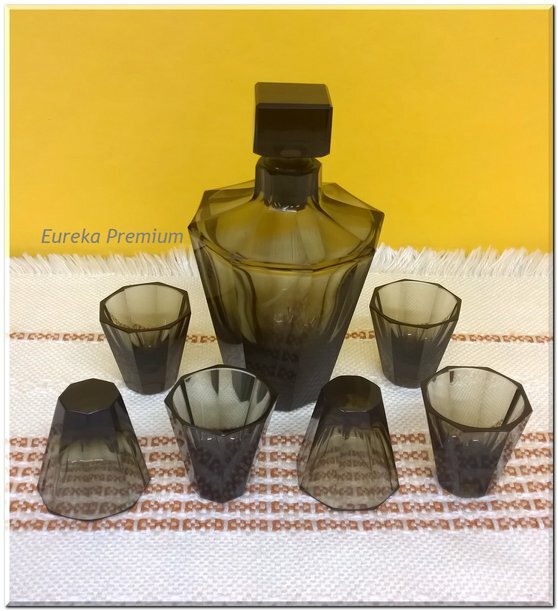 1950’s ORREFORS crystal bottle with stopper. 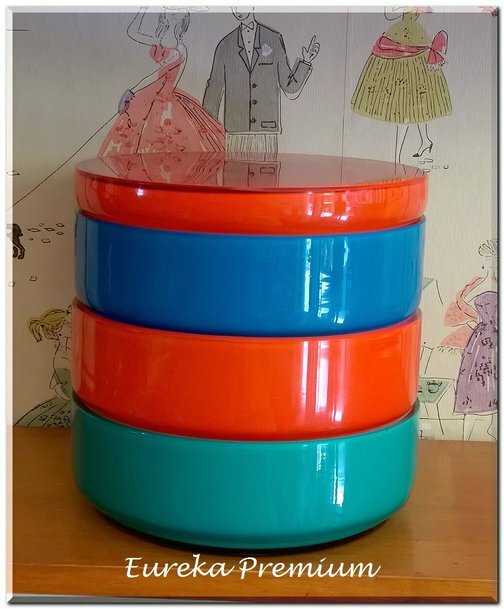 It is in excellent vintage condition with normal age wear. It is singed at the base.